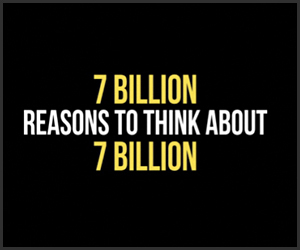 First, 7 billion is a big number: it would take 200 years just to count to 7 billion out loud; and 7 billion steps would take you around the globe 133 times. Second, in case you didn’t know, the growth of the world’s population has picked up speed dramatically in the 20th century: in 1800, the world’s population was 1 billion; in 1930, it was 2 billion; in 1960, it was 3 billion; in 1974, it was 4 billion; in 1987, 5 billion; in 1999, 6 billion; and now in 2011, 7 billion. That is an untenable growth rate. Third, almost everywhere on the planet we are living longer: in 1950, the global average lifespan was 53 years; now, in 2011, it is 69 years. Finally, the earth’s population continues to move from rural areas to the cities, again, at an ever-quickening pace. A megacity is defined as a city with a population over 10 million. In 1975 there were only three: Mexico City, Tokyo and New York City; today, in 2011, there are 21 megacities. However, one of the interesting things the app points out is that the real issue 7 billion people raises isn’t “space” [standing shoulder to shoulder, 7 billion people can fit in the city of Los Angeles]. Instead, what we need is “balance;” and as an example of what they mean, they cite the following statistics: 5% of us consume 23% of the world’s energy; 13% of us don’t have clean drinking water; and 38% of us lack adequate sanitation. As I was reading about all of this, I was reminded that the issue of this extraordinarily rapid population growth is actually an important theological issue that all Christians should be thinking about, and talking about. First, of course, is this problem of consumption. Not only are there more of us, but we are consuming more—and that consumption is directly related to the imperiled state of the planet: wild animals and wild places are disappearing; pollution in earth, air, and water is increasing; and radical climate changes are affecting weather patterns all over the world. What does this say about how are we called to live in a relationship with creation whereby all flourish? Second is the circumstance of widening economic disparity. There is an ever-increasing gap between the rich and the poor, with the rich consolidating wealth, power, and privilege for themselves. This reminds us that we are called to love God and do justice—faith and love go hand and hand—and this means working to resist the lure of mammon and advocating for the voiceless and forgotten. Third is the simple fact of all these people, under whose weight and lifestyle the earth is groaning. This raises the difficult and thorny question about reproduction: Does everyone have the “right” to have children? As many children as they want? What are the healthy and good limits of “be fruitful and multiply?” Finally, I think also about questions of globalization and homogenization: globally, we are becoming ever-more intertwined, particularly through economics and technology, and as a result, there is an encroaching “sameness” that threatens local/regional/indigenous customs—food, dress, language, and ritual. 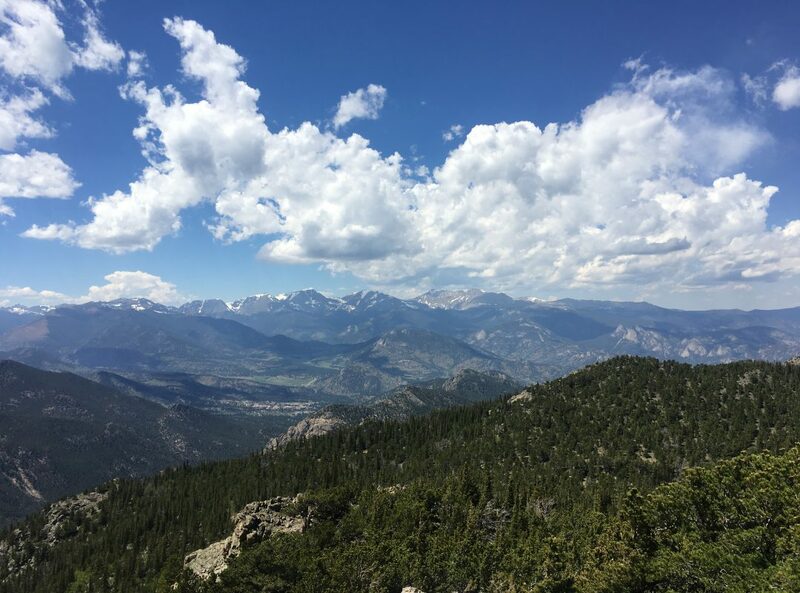 So, as we recognize that all creation bears the mark of God’s handiwork, how do we preserve and protect that which is “other”—unique and beautiful in its own right—without demanding conformity to one particular standard of value? I don’t know how it will all end up, but at the very least, I hope the church will weigh in: we have a unique voice and perspective to offer, and we need more people thinking and talking about what all this means. Believing that every single human being is created in the image of God, believing that God created the whole world and all its creatures good, and believing that God dwells in and amongst creation, continually preserving and nurturing it, should matter to us, and should move us to think, speak and act in ways that honor God’s creative, redemptive work and presence with the whole creation, with all of us—all 7 billion of us.